Buy one yard get one free. Several bolts to choose from. 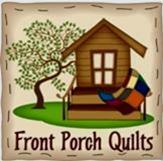 Inventory leftover will be traveling to Oklahoma City, January 7 for a quilt show...Shop now for best selection!